Restaurants line the waterfront in the Old Town of Nice in the Provence, France in Europe. 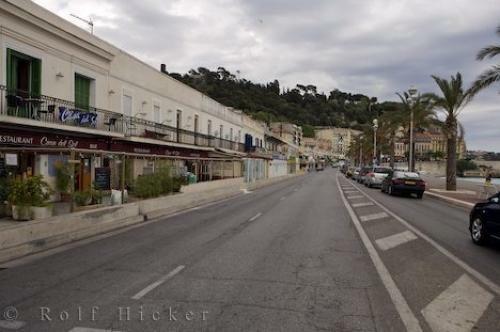 Photo of the waterfront restaurants in the Old Town of Nice in the Provence, France. ... Beer and wine can be fairly expensive in the restaurants and there are a number of different alternatives to ordering them. Main courses also have variations that should be thoroughly checked over before ordering. Once you have eaten at a few of the waterfront restaurants in the Old Town Nice in the Provence, France you will be a professional at ordering.After a fine meal at one of these restaurants, you can enjoy a walk along the waterfront, check out some of the unique shops or take part in some of the nightly entertainment. A trip to the Old Town of Nice is definitely a place you should stop at while in France.Waterfront Restaurants in the Old Town of Nice, Provence, Cote d'Azur, France, Europe. I photographed this photo with the digital SLR camera model Canon EOS-1Ds Mark II, aperture of f/6.3, exposure time of 1/160 sec. on ISO 100, as always I used a original Canon Lens, the focus lenght for this picture was 27mm.